While Microsoft Excel 2010 is most useful as a means to store, organize and compare data, you will eventually have to put some of your data into a format that is readable to a human audience. 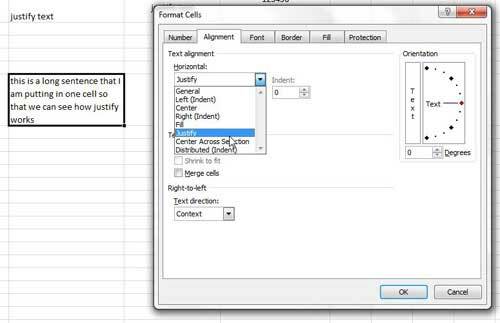 Unfortunately some of Excel’s default settings can have text aligned on corresponding sides of cells (for example, a left cell that is right-justified and a right cell that is left-justified). It can become difficult to discern where information from one cell ends and information from another cell begins, so you will need to justify your data within its’ cell. Justifying text or numbers will force the data into the location within the cell that you choose. Data can be horizontally justified to the left, center or right and it can be vertically justified to the top, middle or bottom. 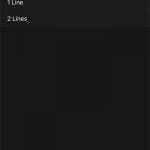 Finally, there is also a Wrap Text option, as well as Horizontal and Vertical Justify options that you can use if you have a string of text that is too large for its’ current cell. 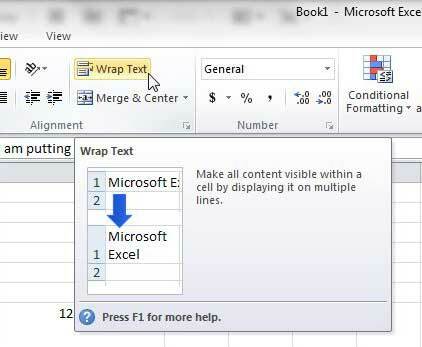 Continue reading to learn how to justify your text in Excel 2010. You can dictate the location in a cell of nearly any type of data that you might put into that cell. This is helpful for presenting data that is easier to read, because it can separate data that might otherwise cluster together in the default settings. 1. 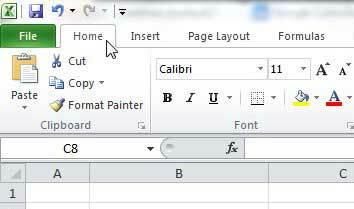 Open the Excel file that contains the data you want to justify. 2. Click the cell, row or column that you want to justify. If you want to justify all of the values in a row or column, you can click the row heading or column heading at the left or top od the window, respectively. 3. Click the Home tab at the top of the window. 4. Click the horizontal justification setting in the Alignment section of the ribbon that you want to apply to your selected cell. 5. 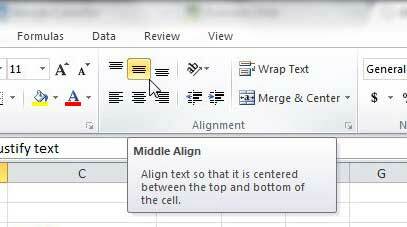 Click the vertical justification setting in the Alignment section of the ribbon that you want to apply to your selected cell. The image below shows some example of text and numbers that have been horizontally and vertically justified. Once you have made the cell large enough, you should be able to justify the cell value to get it into the location you desire. The default settings for cell sizes will probably make it difficult for you to notice any difference in vertical justification. However, you can make vertical adjustments more pronounced by making the row taller. Click on the bottom dividing line of a row heading and drag it down to increase the height of a row. You can use the same instructions with the right dividing line of a column heading to make columns wider, too. Some people might argue that the instructions above are actually meant to align information in a cell, and they would not be wrong. However, in my experience, I have noticed that a lot of people use the terms “Justify” and “Align” interchangeably. 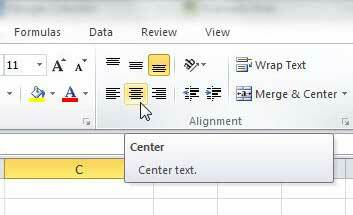 If you want to use the Justify option in Excel 2010, you can do a type of justification by clicking the Wrap text button in the Alignment section of the Home ribbon. This will adjust the text in your cell so that all of the text is displayed within the cell, without spilling over into other cells. 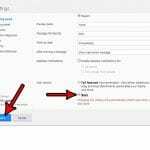 You can also choose to vertically or horizontally justify a cell by right-clicking the cell, clicking Format Cells, then clicking the drop-down menu under Horizontal or Vertical and choosing the Justify option. 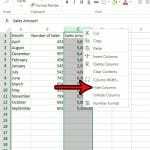 Using a combination of all of the tools mentioned in this article, you should be able to achieve your desired justification effects in Excel 2010.